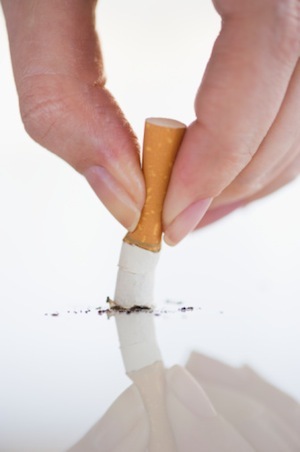 GIVING UP SMOKING ON ASH WEDNESDAY – THE HYPNOSIS WAY! Today is Ash Wednesday and the day when millions of smokers around the world will try to give up the dreaded cigarettes. Here Justin Toner of the Opal Hypnosis Centre explains why he has an 85% success rate at helping smokers win the battle to give up. Most smokers feel controlled by cigarettes. The good news is that it is possible to stop without suffering any of the above, and one of the quickest and easiest ways to becoming a non-smoker is with the aid of hypnosis. Hypnosis is a natural state that everyone has the ability to enter into. In hypnosis, you are not asleep or unconscious but in a state were the mind is relaxed, similar to daydreaming. You are still aware of where you are and the environment around you, so you are not zonked out and left vulnerable to the commands of the hypnotist. In hypnosis, your mind does become open to suggestions of change, but the suggestions must be acceptable to the person that is receiving them, so NO, you cannot be made do anything against your will. When I am working with a client, I am not forcing them to do something that they do not want, I am helping them achieve something that they already have a desire for, and that is why a good hypnosis session can be so natural and successful. Yes. Understand that hypnosis is a consent state; you have to give your permission to the hypnotist and allow him to guide you into that state of mind. You cannot be ‘forced’; so by following instructions, you can allow yourself to enter a wonderful state of physical and mental relaxation and permit the change to happen naturally. The conscious part of our mind is the rational, logical analytical thinking part of us. It knows good from bad and right from wrong. It is the part of your mind that knows all the reasons why you should quit smoking, and also the part that thinks of the excuses why you continue to smoke in an attempt to ease the guilt! Unlike the conscious mind, the subconscious has no ability to judge; it cannot differentiate between positive and negative, nor constructive from destructive. In many ways it is similar to a computer and will just run whatever it is programmed with very effectively without analysing any pros or cons. Now, the primary function of the subconscious is to protect, but it ends up protecting all its programs, including our habitual patterns of behaviour which includes the smoking habit. Whatever we do through repetition, we get better at it. So we get really good at things that are really bad for us; smokers have perfected something that is really bad for them! When it comes to making a change, consciously you know all the reasons why you should quit smoking – health, social stigma, expense etc and so you decide to quit relying only on your conscious willpower. But what is actually happening is your logical conscious mind (which knows all the benefits of quitting) is going in one direction, but the subconscious is still programmed with the habit of smoking so it’s moving in the opposite direction. This causes an internal conflict, and it is this inner conflict that causes the irritability, tension and even the desire to eliminate this horrible feeling by drowning it out with treat foods. This is the reason why most people are still smokers today – they don’t want to go through the suffering they went through in the past, or think that they are going to go through because they have heard it is so difficult to quick. Hypnosis helps by making the change at the subconscious level of mind, so you end up thinking and feeling differently about cigarettes and smoking. It takes away the ‘fight’ or ‘struggle’ of quitting because it aligns your subconscious with your conscious desire to be a non-smoker, so you have the two parts of mind working together as a team rather than pulling apart from each other. Regardless of how many cigarettes you smoke, or for long you have been smoking, it is possible to stop without the suffering or withdrawal you may have faced in the past. By becoming a non-smoker, you are giving yourself the gift of health and the gift of life, and deep down inside, I’m sure you already knew that. Decide to take back that control of your life, and choose to become a non-smoker. Call today – 074 910 3474 – The Opal Hypnosis Centre, Pearse Road, Letterkenny.